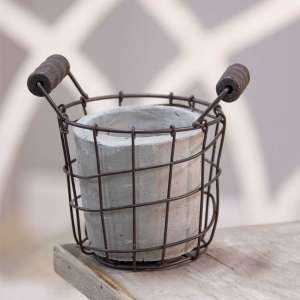 A fresh take on farmhouse decor infused with industrial, modern, and urban elements. 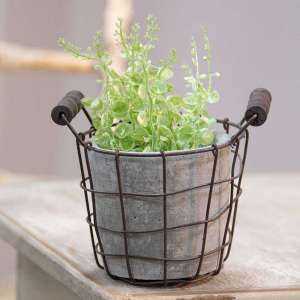 Classic Cement Planter w/ Rustic Wire Basket 5.5"
Autumn Blessings Ornament - 2 asst. 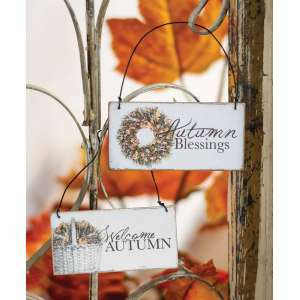 Autumn Blessings Candle Block - 2 Asst. 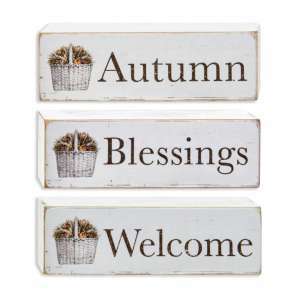 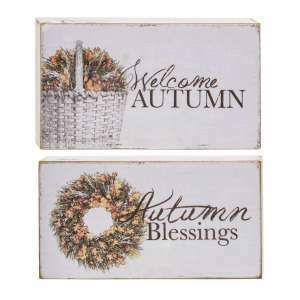 Autumn Blessings Wood Block - 2 Asst.